How to insert multiple SWF flash slideshows into the same webpage? 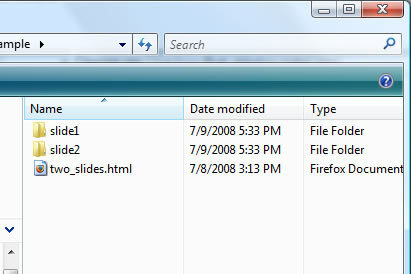 You can create the slideshow and upload to your website's subfolder, such as "slide1", "slide2" etc. then in your HTML which will contain these slideshows, you need to add the subfolder name to the path of the SWF file and the "XML_path" flash parameter. 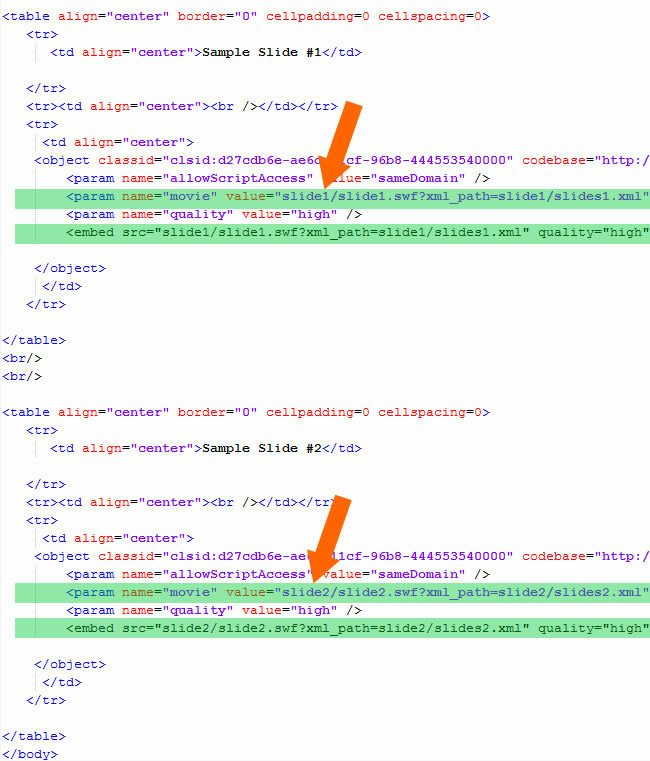 The key point in this sample is the file folder before the SWF and XML file. You may download the sample zip file from the link below to get more information.